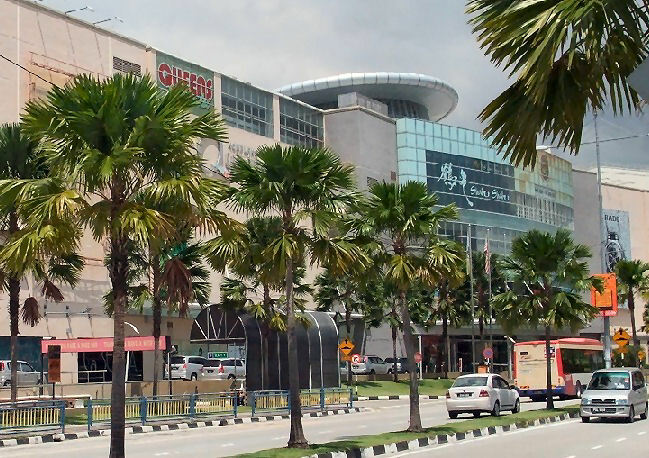 Queensbay is not situated in George Town, but in Bayan Lepas. Between the old Penang bridge an the airport of Bayan Lepas. Queensbay Mall opened for business on 1 December 2006. 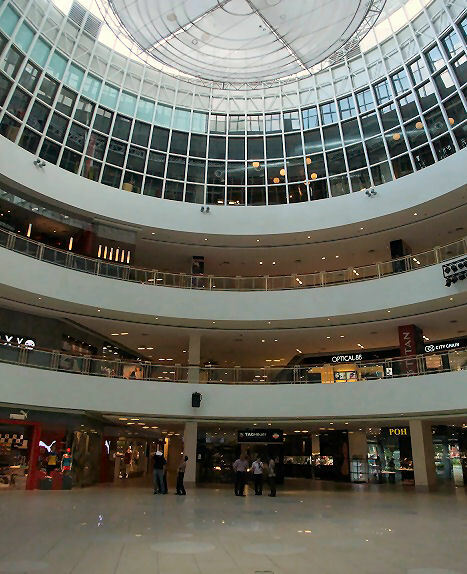 It is currently the largest, longest and most modern shopping mall in Penang. It's situated between the industrial zone and the city. Right there where the people live in their apartments. In the daytime it's a very quiet mall, but in the evening hours and in the weekends it's very busy. It is the most preferred shopping destination for both the locals and tourists – with 5 levels of retail’ AEON as its anchor tenant with more than 10 junior anchors and 500 retail merchants. Taking the highway to Queensbay from Georgetown, you'll pass first the 5* hotel Eastin, followed by the large building of the mall. Take care of the right turning to the mall. There are annoying bumps in the road, before you can enter the parking garage. Parking is very cheap on Penang. 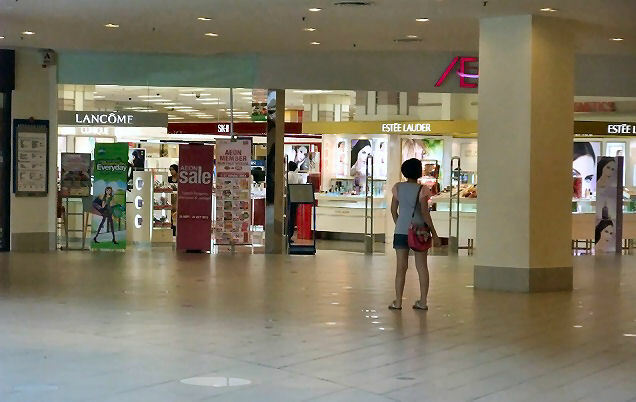 There are in Queensbay shops of famous brands such as Converse, Nike, Esprit, Estee Lauder, Hush Puppies, Lancome and Toys 'R' Us. Here you can go shopping without intrusive staff. Take a rest with a nice cup of coffee at the Star Bucks, Dome or Coffee Bean. Of course you can drink something else. There's a "Chinese Tea House" at the lower ground level. In most shopping complexes you'll find a special floor where you can eat, but in Queensbay you'll find restaurants at every floor. There are ATM's at the lower groud level, where you can also pay for your parking ticket. On every floor are clean toilets.